Little Harvey Sutton is one cool baby because his life was saved by sleeping on an ice bed. He was put on a high-tech cooling mattress after he was starved of oxygen before he was born, leaving him with only a 30 per cent chance of survival. The three-day treatment at Heartlands Hospital saw Harvey’s body temperature cooled to 33.5C in a bid to stop him suffering brain damage but he beat the odds and is now thriving aged almost five months. Harvey’s brain had been starved with oxygen. 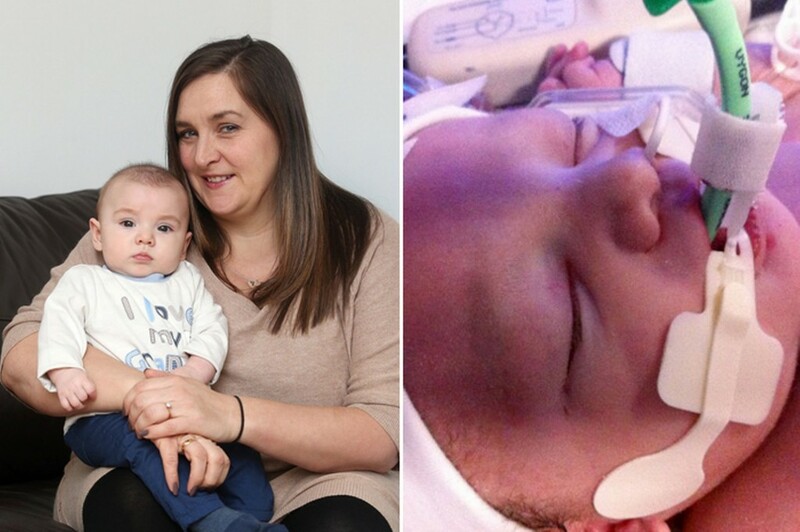 He also had fluid on his lungs, anaemia, blood poisoning and three brain bleeds but he was allowed home after three weeks on the neonatal unit. Read the full story here: http://www.birminghammail.co.uk/news/midlands-news/ice-ice-baby-little-harveys-6763137.